The disk drive maker Seagate will soon offer a “local cloud” storage device that you can set up in your home or office. Local storage, easily reached via local wi-fi. IT professionals will recognize this as a NAS, short for Network Attached Storage. At about $250 for 4TB, the lesser configurations don’t save enough money to be worth your time. Expanded uses for phones and tablets. One shining example is the new MOCET iPad Communicator. Phones and tablets are extremely versatile. Adding capabilities beyond, say, a clock radio or external speakers, will become increasingly commonplace. Remember: you’re carrying a fairly powerful computer. Why not put it to use? To go to the site, click on the picture. Previously, I wrote about the new 4K screens. They’re beginning to be shown as demos. Touch screens and gestures will begin to replace keyboards and remote controls. As the technology allows for greater precision, older ways of interacting with computers (and tablets) and with videogames and TV sets will shift our conception of an interface into the modern age. Smart phones seem to be getting larger–more screen real estate is better for mail, web, games, and movies. Tablets seems to be getting smaller (the line between a small tablet and a big phone is becoming difficult to discern). Tablets are also becoming larger–imagine what you could do with a 20-inch portable tablet! Here, we’re starting to blur the distinction between a computer monitor, a TV set and a tablet. It’s tough to forecast where these trends are heading. Samsung has become the Sony of the 2010s–an exciting company with innovation in every direction. The quality is there, too. But there are still lessons to be learned about user interfaces and design. Very small storage devices are continuing to expand their storage dimensions. Kingston, for example, showed off a 1TB flash drive–larger than the popular thumb drives, but still quite portable. From DPReview’s coverage, the latest Fujifilm digital camera. Click on the image to see their story. Automotive electronics has always been a key aspect of CES. Sure, car stereos and car security systems remain center stage. Now that cars plug into wall sockets, the vehicles themselves are becoming digital devices. This time around, lots of cars as harbingers. Next time, I’ll bet we start seeing hybrid devices that confuse the definitions of bicycles, motorcycles, golf carts, and other short-range transportation devices. To read The Verge’s story about the Oculus Rift, click on the image. Your smartphone and/or your tablet will become a monitoring control center and remote control. You know how we’re beginning to program a DVR from afar? Or read date/time stamps on the foods in the fridge? It won’t be long before we all have a remote dashboard to tell us about the fuel in the car, the meds in the bathroom, when the last time the dog was walked, body fat, etc. add some robotic controls and digital life becomes even more interesting. I’ve wondered why immersive video game displays have taken so long to gain traction in the marketplace. Now, it looks like the (Kickstarter-funded) Oculus Rift will change the way gamers see and experience the experience of game play. There’s good multimedia coverage in The Verge. Even higher definition TV. Much higher. With 3D. Without glasses. We may never leave home again. So says long-time consumer electronics public relations executive Lois Whitman in her blog, DigiDame. According to Lois: Current HD maxes out at 1080 lines or a 1080p picture. 4K HD is 4096 lines, or 4096p. Ars Technica is a whole lot more critical. IMHO, this is going to make spectrum reallocation more complicated. Right now, television stations and broadband operators are wrangling to use over-the-air spectrum for delivery of, well, television and broadband services. 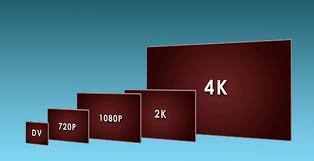 HDTV is a heavy user–and this new 4K technology will require a lot more bandwidth. Perhaps not over-the-air bandwidth, which might be put to better uses, but when we consider the available bandwidth built out by cable and satellite operators, well, 4K is likely to overwhelm their infrastucture, too. We’ll need new superDVDs or some other medium to carry the data associated with this new format… and I’m certain that will arrive soon enough. As we Americans (and folks around the world) consider public telecommunications policy and the use of all sorts of bandwidth for television signal delivery, will 4K make the discussion, well, at least 4x more interesting? Will Snow White and the Huntsman be 4x more fun in 4KTV? Apparently, the answer is yes if (a) you sit really close to your new 4KTV, or (b) yes, if your screen exceeds 60 inches (not popular in most homes, just too darned big). The question is: will viewers find 4x four times more interesting than HDTV? As Apple pushes its retina displays, and camera manufacturers begin to push the 20+ megapixel sensors for even-better-than-the-best imagery, when do we reach the point of diminishing returns? Does anybody need or want a 4K TV? And how might that answer change when 4K TVs are the only kind of TV that Best Buy (or whatever retailer manages to stay alive) sells in 2015? Cool stuff, but I sure would like the manufacturers to focus on something more important than RHDTV*. * Ridiculously High Definition TV, a term I made up. You may also see the term QFHD (Quad Full High Definition), which somebody else made up.